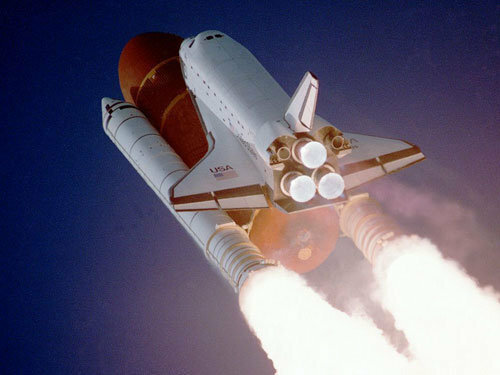 NASA Developed special types of Polyurethane Foam to protect and insulate the external fuel tank of the space shuttle. The 1″ layer of foam on the outside of the external fuel tank helps keep 395,000 gallons of liquid hydrogen at a very cool -423 degrees Fahrenheit. Here is a scenario: You have one of the most brilliant minds on the planet and you work for NASA (the National Aeronautics and Space Administration). Your team has been tasked to create the world’s lightest, most durable insulation capable of keeping a rocket fuel tank at -423 degrees Fahrenheit. What does your team come up with? Polyurethane Foam. 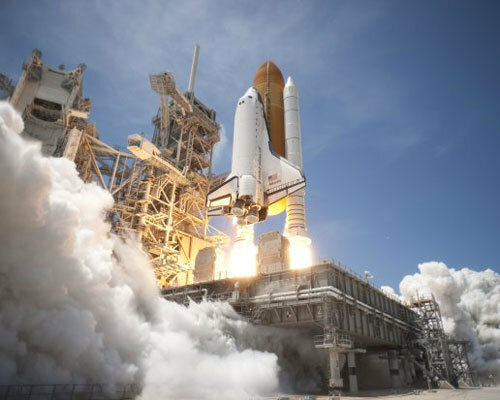 NASA created a special blend of polyols capable of self-flashing to a substrate with a remarkable combination of qualities: strength, insulation, durability, and light weight. Although blends of polyurethane existed before NASA, the space administration took the implementation of this technology out of this world (literally). The space shuttle has jettisoned the external fuel tank which is now falling back to earth in this picture. The polyurethane foam is dark orange due to ultraviolet light radiation from sunlight. The shuttle fuel tank is the single largest part of the space shuttle. 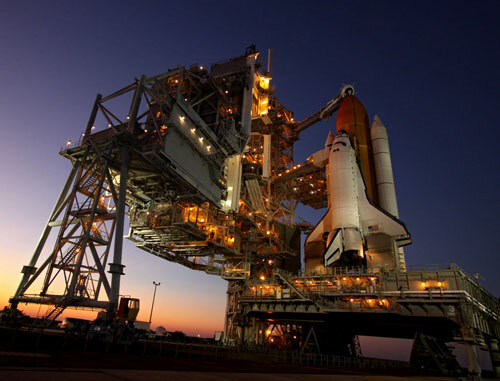 It is also the only part of the space shuttle that cannot be refurbished and reused on multiple missions (in other words, the fuel tank is ‘disposable’). The tank is mostly made of 1/8” thick aluminum. At full capacity, the tank holds 395,000 gallons of liquid hydrogen at 34psi. The tank weighs 58,500lbs empty, and 1,680,000lbs when full (almost 1.7 million pounds!). The one inch layer of polyurethane foam slightly increases the structural integrity of the fuel tank while providing optimum insulation. Foam is ultra lightweight as well, which keeps the weight of the fuel tank at a minimum. Closed cell foam contains millions of tiny bubbles which trap vapor and seal a surface. This prevents air infiltration and creates a tight seal. Special compounds are used to clean the fuel tank surface before applying the foam. No adhesive is required; the foam self-adheres to the surface of the tank with enough strength to withstand the rocket launch (and even the fall back into the atmosphere; for the most part). Polyurethane foam is pale yellow when first applied (this is the color of the fuel tank for the indoor pictures). After being outside for a period of time, the color of the tank shifts to orange. As ultraviolet rays from the sun hit the outermost layer of the foam, the material begins to break down on the surface. This does cause a small loss in insulation quality. Early on, NASA coated the the foam white to protect it from UV degradation. However, the paint added 600lbs with little benefit. Subsequent shuttles used bare, uncoated brown foam as a weight saving benefit. 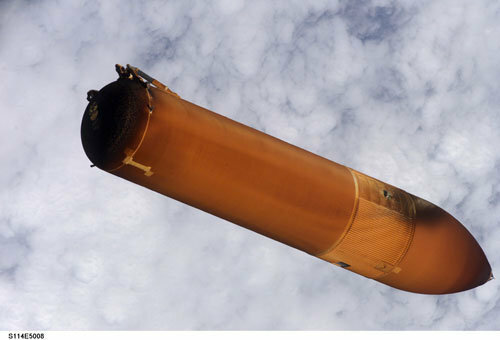 The filled external fuel tank (orange) weighs nearly 1.7 million pounds and is primarily constructed with 1/8″ thick aluminum. Polyurethane foam was developed to insulate the outer layer of the tank, protect it from the external heat of the burning rocket fuel, and keep the contents of the tank super-cooled (-423 degrees Fahrenheit). Some innovators saw the potential of polyurethane foam for use in everyday life. What use could a lightweight, durable, insulating, waterproof substance have? Most modern day refrigerators use polyurethane foam as the key component for enhancing insulation. Many large refrigeration warehouses also use SPF foam for the same reason. Sometime later, perhaps during the late 1960’s or early 1970’s contractors began using polyurethane foam for roofing purposes. Some contractor had the bright idea that people might want a roof that would protect their property from leaks and insulate at the same time. 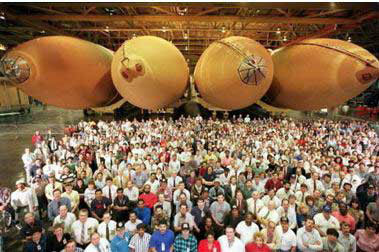 A crowd celebrates the completion of four space shuttle fuel tanks. Note: the one-inch outer layer on each tank is made of polyurethane foam. The external fuel tank is the largest part of the space shuttle, and the only part that cannot be reused. Unfortunately, some ideal climate conditions must exist for polyurethane foam to be applied. These can be created artificially (as some contractors in wet, cold areas like the state of Maine have done for many years). Anyway, due to mostly climate based reasons, most foam roofing contractors are based in warmer states like California, Arizona, Texas and Florida (although there are definitely plenty of exceptions to this ‘rule’). We have NASA to thank for many modern day marvels such as memory foam, scratch resistant glasses, cordless tools, water filters, long distance communications, and even invisible braces. We can also thank NASA for developing polyurethane foam—a superior insulator used in the refrigeration of our food before and after arriving at the supermarket and in our refrigerators. And in some cases, a blessed few can thank NASA for creating perhaps the ultimate roofing material (polyurethane foam), which can both seal and insulate a home or business. NASA innovations impact our daily lives; from refrigerators and scratch resistant lenses to polyurethane foam roofing products. The external fuel tank includes the main engines, twin solid rocket boosters, and the orbiter. 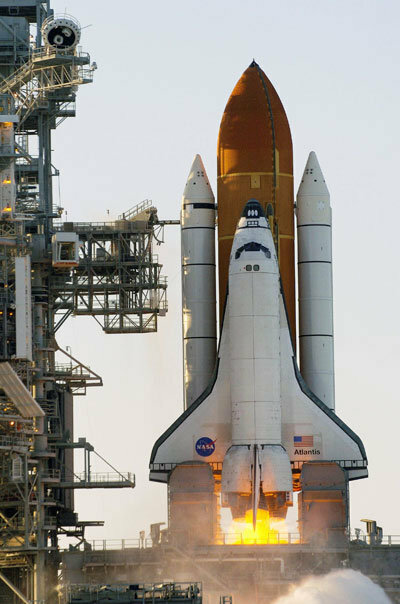 At 27.6 feet wide and 154 feet tall, the external fuel tank is the biggest element of the space shuttle, and it is the only part that cannot be reused. The aluminum skin of the tank is a mere 1/8″ thick, although it is structured to still withstand over seven million pounds of thrust during lift-off and the ascent. The external fuel tank has a one inch layer of sprayed polyisocyanurate foam which protects the aluminum skin from ice formation and aerodynamic heat. 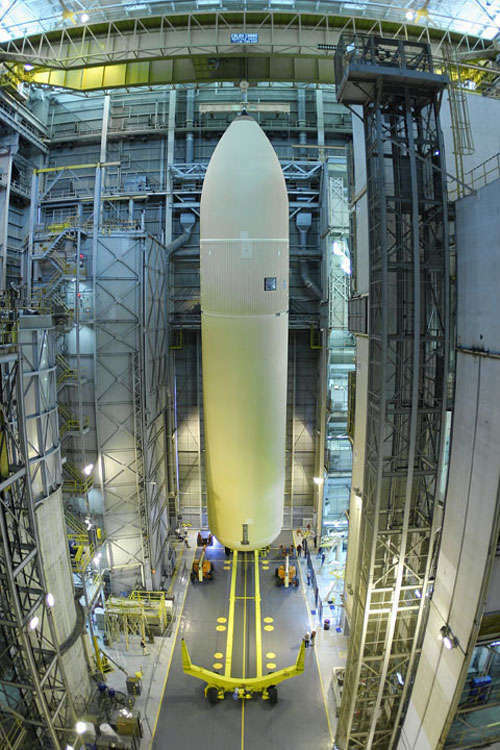 The sprayed polyisocyanurate foam also keeps the 535,000 gallons of hydrogen and liquid oxygen propellants insulated and cool (-423 degrees Fahrenheit). The external fuel tank is the large orange tank in the middle. One inch of polyurethane foam insulates the tank. 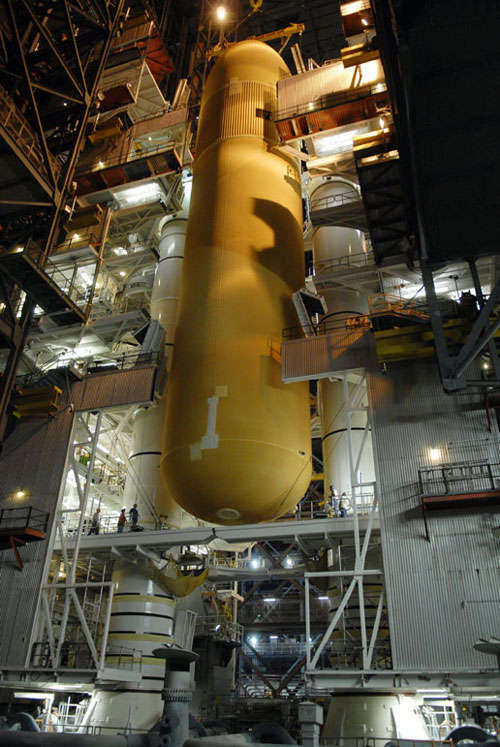 The space shuttle fuel tank is still pale yellow because the polyurethane foam has not been exposed to sunlight yet. Crews work on the external fuel tank (if you look carefully you can see people in this image). there is a company in Virgina that says they are using insulation from the space shuttle for there home. does any one know what that is or the name of the company or the name of the insulation they say they have the rights to it. any info at all ? The space shuttle uses/used the same closed cell foam as companies like Dura-Foam Roofing and Solar Center in California. Closed cell foam is the only insulation that does not soak up water. After launch, when this tank is empty, it is released and falls back to earth. Friction burns up the tank, and very little, if any of the tank actually makes it to the ground. I’m pretty sure the foam burns before the aluminum. The foam is not very available to the public. It is manufactured ‘on site’ with expensive equipment. Two materials are combined in exacting proportions. The process is unforgiving, requiring knowledgeable and reliable personnel, equipment and products. Roofers don’t last long in this business, unless they have talents not usually found in roofers. The use of this foam in building insulation is becoming more common as energy costs increase, and it becomes more economically viable. I formulated and produced a polyisocyanurate foam used on the Morton Thiokol booster rocket that were on a number of iteams including the Space Shuttle.